On February 15, 1872 a resolution was adopted in the council providing a room for a public school library in the office of the city attorney, but the school board failed to establish the library. In the meantime the state library law had been enacted and on July 16, 1872 the council passed an ordinance to establish a public library, called East St Louis public library and reading room, with a one-mill tax. This was organized on August 13, 1873 and opened on February 5, 1874. The library occupied a room on the second floor of the city hall until the municipal troubles of 1878 when it was closed, never to reopen. It was finally destroyed by the burning of the city hall in the spring of 1881. On account of the municipal situation East St. Louis had no public library for the next ten years, but on May 22, 1891, the city council re-established the library. As no funds were available for library purposes, the mayor deferred the appointment of a board of directors until June 22, 1892. 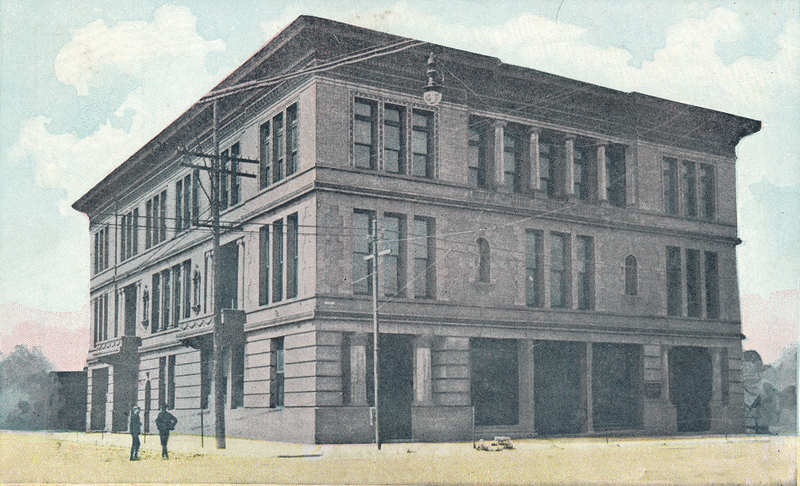 The board at once leased the third story of the Adele building on Broadway and Main streets, and opened the rooms to the public on August 2, 1892. Here the library remained until 1895 when it moved into its own permanent building. The first library board was authorized to spend $40,000 in the erection of a new library building and an ordinance was passed providing that special taxes of $8000 a year be collected for five years. This amount was later raised to $50,000. In 1894, a site was selected and the building begun. The taxes then gave $16,000 and the property was mortgaged for $34,000 in anticipation of the amount which would come in from the special tax for the next three years. The lots on which the building was erected at the corner of Eighth street and Broadway were given for the purpose, upon payment by the board of a small sum in excess of the street improvement tax. Owing to difficulties with the contractors, the opening was delayed until December 10, 1895. The total cost was $55,863 which was $5863 in excess of the appropriation. This was provided for by curtailing the maintenance fund for 1894 and 1895. The building is in Italian renaissance style, 75 by 110 feet, three stories high with basement. 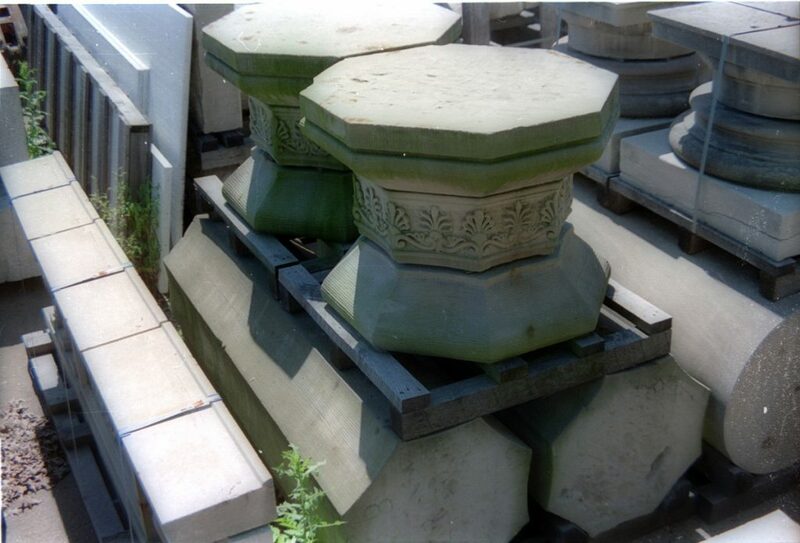 The first story is of blue sandstone, the second and third stories are of buff Roman brick trimmed with terra cotta. On the second or main floor are the central delivery room, reading, reference and study rooms, and the stack room which is 45 feet square and 32 feet high with a capacity of 150,000 volumes. On the third floor is a room where teachers may bring their classes to examine special books. Here also are the children’s reading room, the directors room, and an assembly room seating 200 persons. Text from Illinois Libraries by Katharine L. Sharp, 1906-1908.